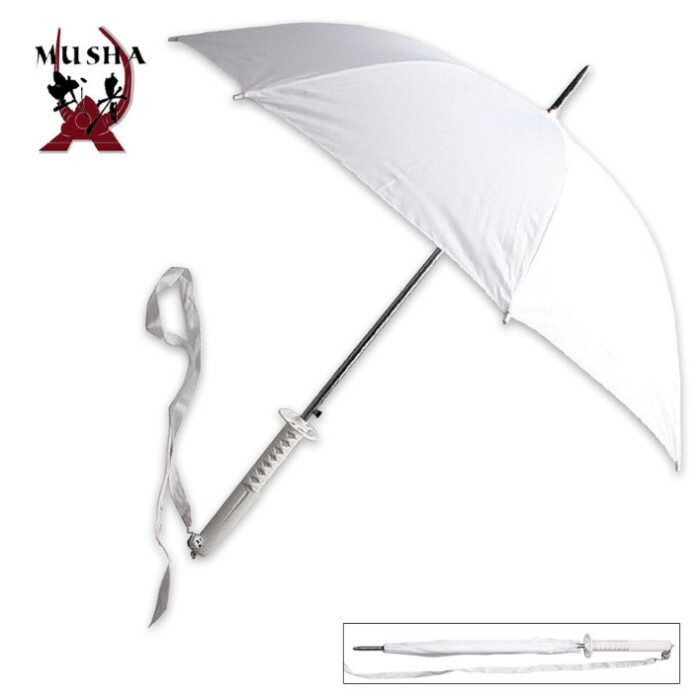 This is an umbrella you don’t want to leave home without! The tsuba is white and the shape is a symbol of purity. 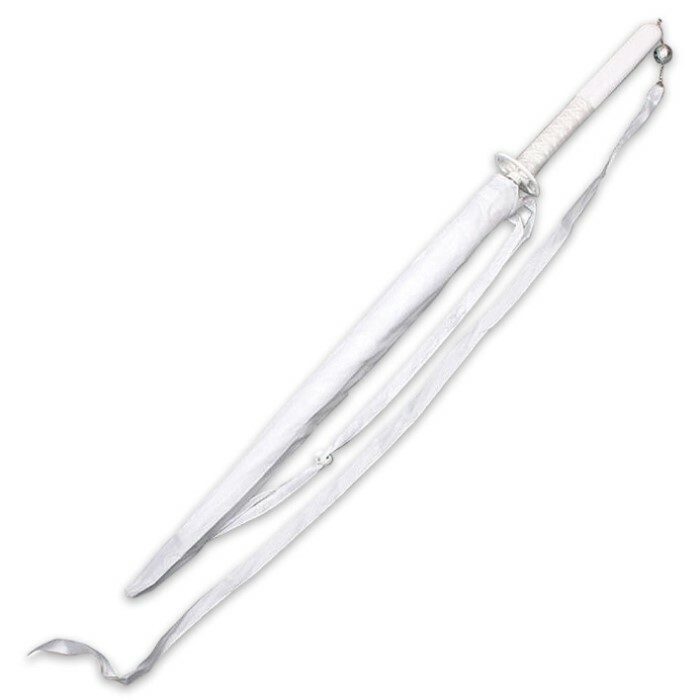 The handle is white nylon cord wrapped, just like a genuine Samurai sword, so people will think it is a sword, not an umbrella! The umbrella opens up to 44" wide and includes a white carrying bag.